Jefferson Starship rose from the ashes of another legendary San Francisco band, Rock and Roll Hall of Fame Inductees, Jefferson Airplane. Founder Paul Kantner (who died in January2016 at age 74) knew that combining powerful creative forces, personalities and talents could create something far greater than the sum of its parts. Between 1974 and 1984, Jefferson Starship released eight gold and platinum albums, twenty hit singles, sold out concerts worldwide and lived out legendary rock and roll escapades. 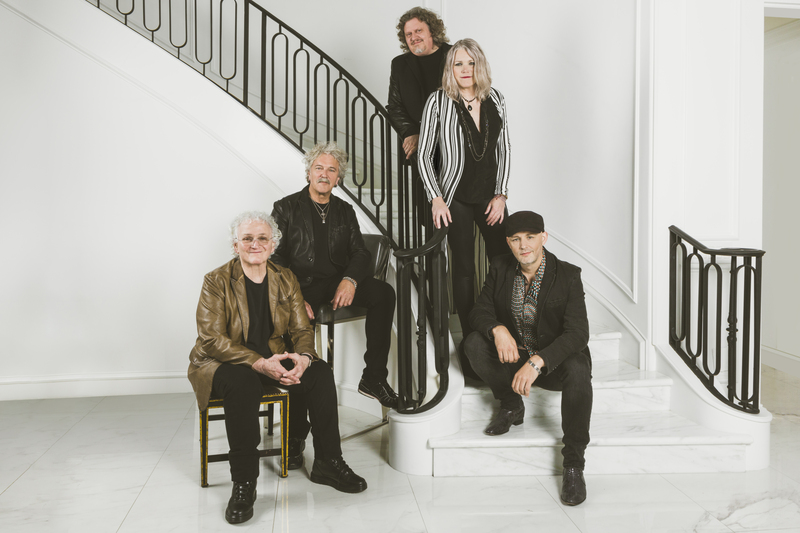 Today’s Jefferson Starship remains dedicated to breathing new life into the living catalog of the Jeffersonian legacy, going to the edge, pushing the sonic boundaries and staying true to the original spirit of the music. The band keeps a hectic touring schedule bolstered by several television recent appearances including My Music: 60s Pop, Rock and Soul on PBS and live with the Contemporary Youth Orchestra on AXS Network. The Freiberg-penned 1979 hit Jane is the theme song for the Netflix Original Series Wet, Hot American Summer. In 2014-15, the band played a series of free concerts for America’s Veterans and was awarded a Certificate of Appreciation from the US Department of Defense. Jefferson Starship has traveled the world playing in 20 countries across the globe in the last 3 years alone. The music that defined a generation and spanned decades is alive and well and more relevant than ever in pop culture-songs such as Volunteers, White Rabbit, Wooden Ships, Somebody to Love, Today, Miracles, Count on Me, Fast Buck Freddie, Jane and Find Your Way Back continue to reverberate throughout the collective consciousness today.